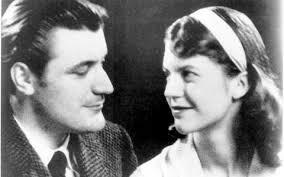 In January 1998, Elaine Connell started this Sylvia Plath Forum – ten years ago this month, following the announcement of the publication of Birthday Letters by Ted Hughes. The success of the Forum far exceeded the expectations of Elaine and her colleagues. It was soon receiving thousands of hits every month and, with her informed moderation, became a fine example of how literary discussion could be on the newly emerging Internet. Elaine made many good friends from the forum and we know that other contributors met up after exchanging emails. With the death of Elaine in October 2007, we have decided that the ten year anniversary is a good time to bring the discussions here to a close. We will be polishing up some of the more dated looking pages of the site but we will not accepting any more messages. We may also put up a page with a selection of the more interesting or eloquent messages. Thanks to the many contributors for helping to create such a wealth of knowledge, and for Elaine and me an exceptional experience.